WordPress tells me what search terms bring you to my blog. It doesn’t identify you personally – I just see a list of search terms and how many hits I got from them. 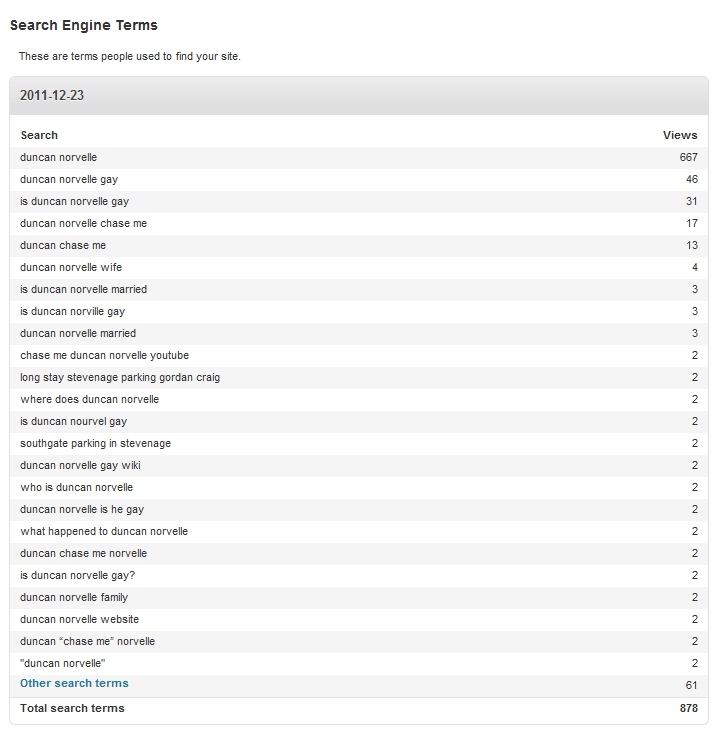 Dwarfing all others, Duncan Norvelle is the most popular search term. Is he gay? Is he married? Etc. But in addition it does give me a fascinating window on to the kinds of things you good citizens of the internet are looking for. The secret escalator at King’s Cross. 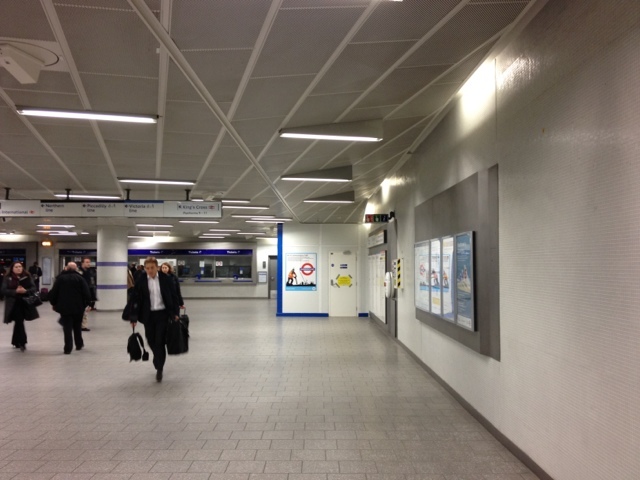 One corner that’s been forgotten about is in the Northern ticket hall. 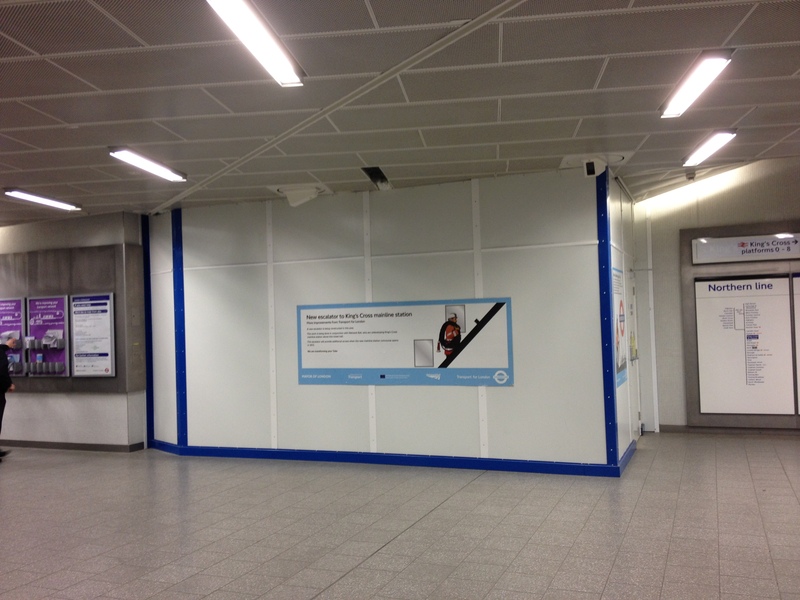 Away from the ticket machines, booths and barriers there’s a section, er…sectioned off by hoardings the same colour as the surrounding walls. Closer inspection reveals a notice pertaining to escalators. Take it from me, dear reader, this corner will soon blossom into our escalator up to the brand new concourse – our stairway to heaven/hell (depending on how the trains are that day). So, here is your ‘before’ photo and in another post after the big reveal, I shall share the ‘after with you. This is a new post about a new post. It’s my first day in Swingate this year. Later starts have meant I’ve had to resort to Danesgate and Southgate. 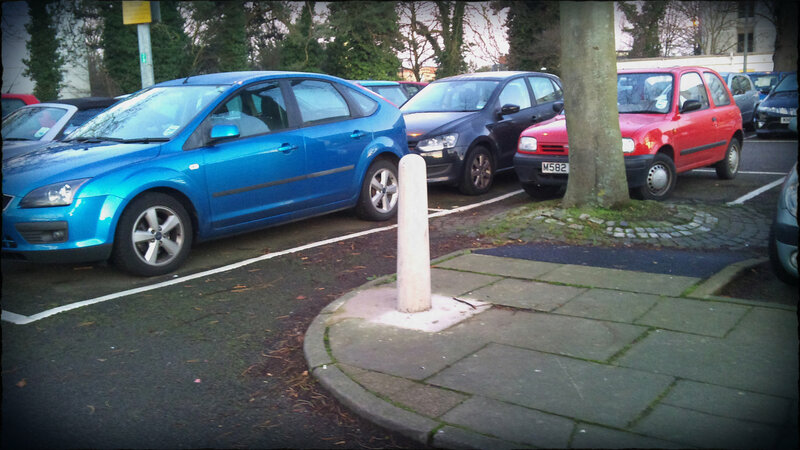 Avid readers will know that some naughty cars park in spots that aren’t really spots to park in. One is right by the barriers in front of a tree. It’s only half a space, so cars parking there are half on the pavement too. The new concrete bollard. Or 'collard'. King’s Cross: getting closer all the time. King’s Cross is getting closer and closer to completion as the days go by (you’d hope). I’ve touched on it before and over the Christmas period they revealed even more to us. You could get a glimpse of their new ticket hall from different vantage points. Any day now I’m expecting to see the hoardings fall away to reveal the full monty. Well, the briefest of Googles offers us this thrilling insider shot of the new ticket hall. If you’ve ever wanted to see it filled with rail workers in Santa hats, hold on to your trousers because your wish just came true! 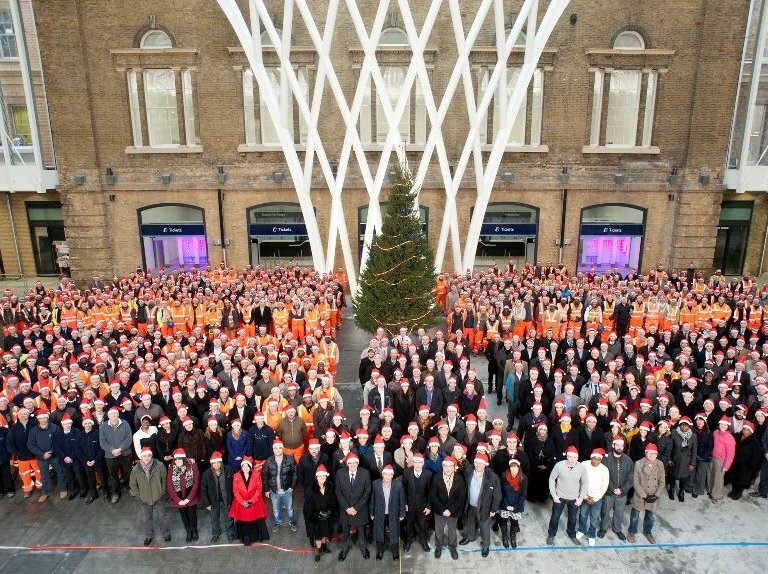 The new ticket hall (1000 Santas not included).